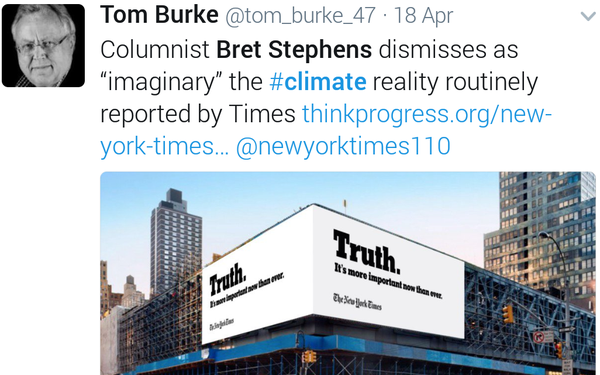 The debut of new New York Times op-ed columnist Bret Stephens, a cynic of climate change science, Friday unleashed a backlash over the weekend, including an obligatory Twitterstorm calling on the paper’s subscribers to cancel their subscriptions in protest, and marking how thin the line of public discourse is even on the left. It’s not the first time the newspaper has generated a backlash from readers after adding a controversial conservative columnist. When it added former Nixon White House speech writer William Safire to its op-ed team in 1973, there was a similar outcry from readers. The paper survived and Safire went on to become a respected -- and some might say beloved -- columnist to many readers. When it comes to someone perceived to be a climate change science denier, not all readers agree. “If NYT hired a birther columnist, would staffers rush into Twitter to defend right to publish differing points of view,’ tweeted Eric Boehlert, who writes for media watchdog Media Matters. 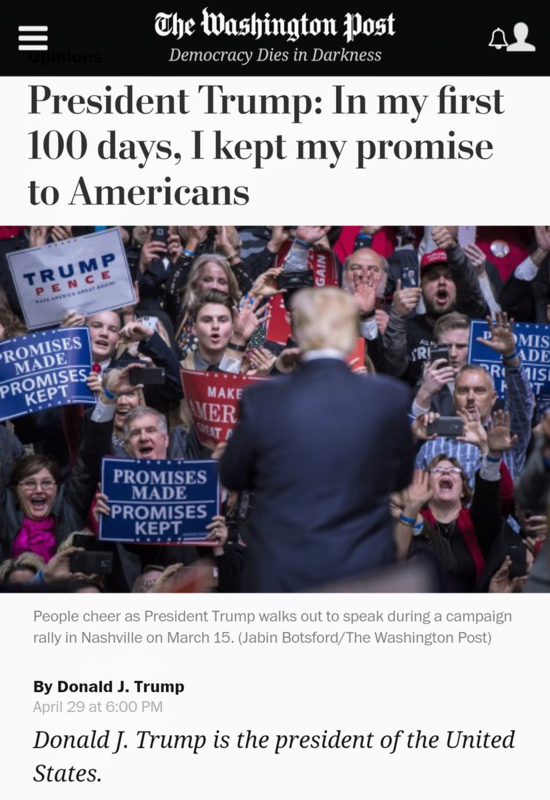 Some tweeters suggested that some readers cancel their Times subscriptions and subscribe instead to The Washington Post, which was ironic, since the D.C.-based publication featured an op-ed from an equally controversial contributor, President Donald J. Trump, writing a first-person account of the accomplishments of his first 100 days.